Making ideal learning real for all. We believe that social impact only happens when public demand for improvement is met with the supply of products and policies that deliver results—not just for a few, but for all. That’s why we were so happy when Trust for Learning (the Trust) found us and asked for help in bringing ideal early learning programs to all children, regardless of their zip code. The Trust had to overcome a number of obstacles to achieve its mission. It was advocating for access to ideal early learning programs at a time when policymakers and many advocates thought that providing access to any alternative to the status quo was the best they could do. Separate communities of Ideal Learning providers, such as Montessori, Friends Center for Children, Reggio Emilia, Tools of the Mind, Bank Street College of Education, and Waldorf, had to be brought together as a field to define and advance universal principles of Ideal Learning. Funders and program providers had to be convinced to invest significant resources in increasing access to Ideal Learning programs for more children and communities, especially those who are historically underserved by the best-performing programs. 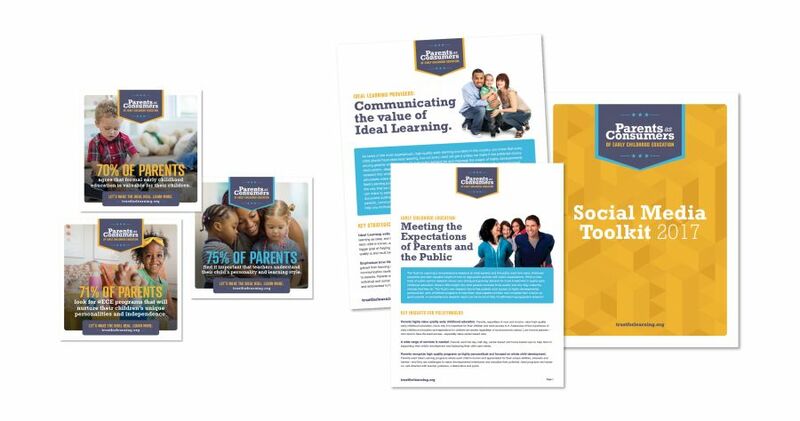 Neimand Collaborative helped Trust for Learning develop a foundational marketing plan that has empowered this small group of collaborative funders to do big work in bringing the highest-quality early childhood programs to all children. We helped them combine and sequence field building with message development, fundraising, capacity building, communications and policy advocacy. And, we built and promoted a series of products that elevates the Trust and advances its work. The Trust’s website now serves as a hub for Ideal Learning advocates and practitioners, providing advocacy and informational materials that can be used across programs and providers. 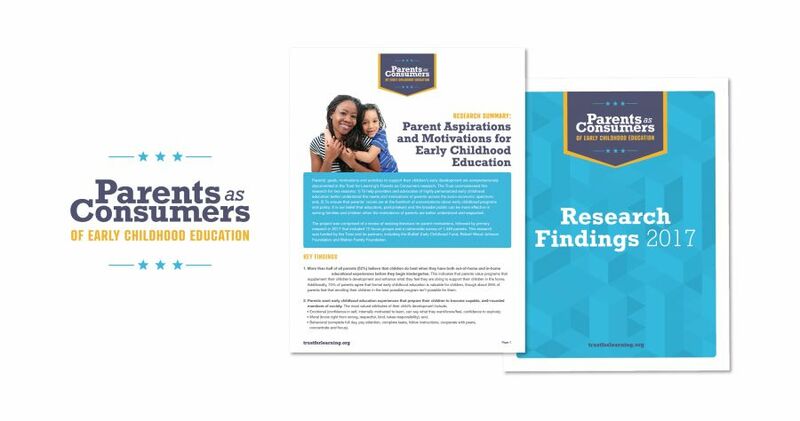 In addition, we helped the Trust complete groundbreaking national research into parents as consumers of early childhood education, which has helped Ideal Learning providers forge closer ties with parents and communities and is changing the way the early childhood community improves parent engagement and equity through access to ideal programs. 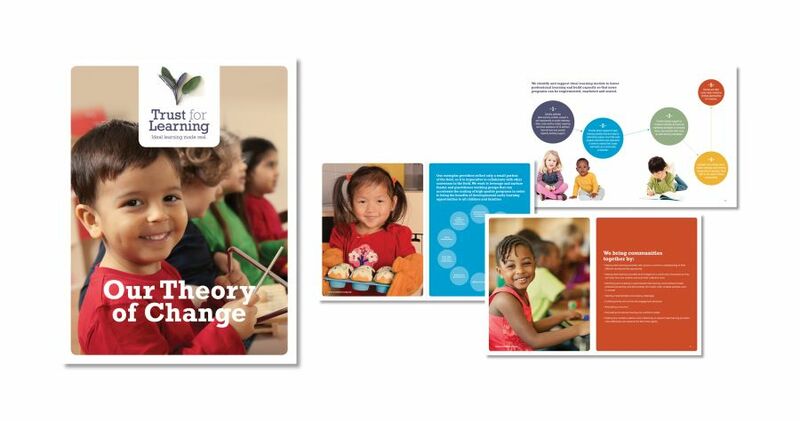 Our early work of intensive strategic planning, an organizational theory of change, branding and strategic communications laid the groundwork for the Trust to evolve into a thought leader in high-quality early education and an active partner in helping funders and practitioners scale Ideal Learning programs to all children, not just to those whose parents can afford them. 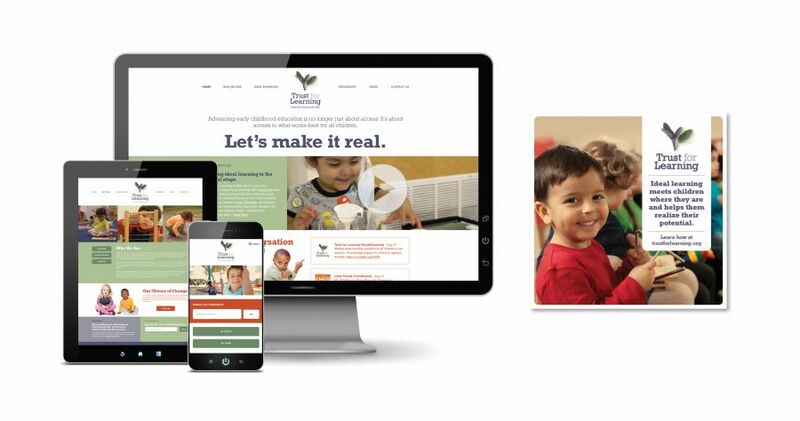 Neimand Collaborative continues to serve as the Trust’s strategic communications partner in charge of impact marketing—making Ideal Learning real for all children and making sure nobody settles for anything less.